Real estate is not a one-size-fits-all strategy. 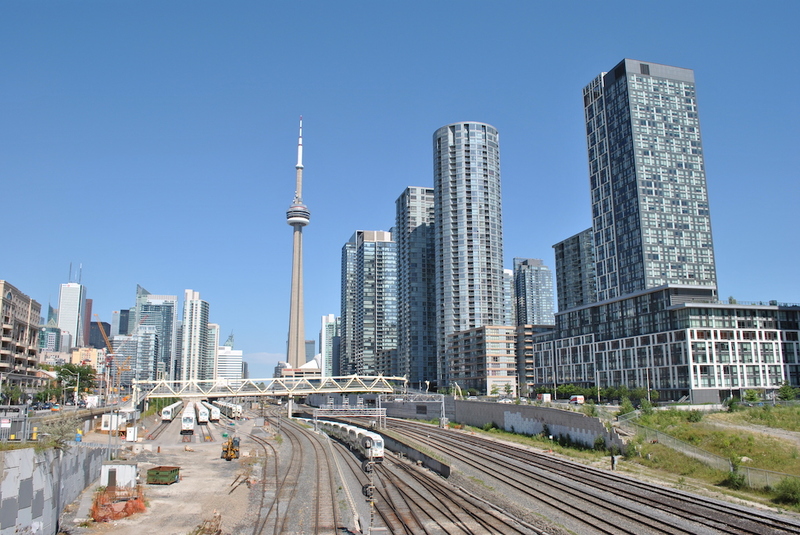 Pierre Carapetian, a top 1 percent agent in Toronto and an avid real estate investor himself, shares what we should know about buying an investment property in Toronto. Here are his tips to profitable purchases. The type of product you invest in will depend on your goals as an investor. Are you investing for equity gains or are you looking for an investment that generates cash flow? Toronto’s lucrative condo market and rising interest rates have raised carrying costs, making it more challenging to find cash-flow positive properties. There are, however, strategic ways to improve your margins, like a higher downpayment or purchasing the right product. Your Realtor will know best. If it’s equity gains you’re after, you’ll need to think long-term. Toronto condos are a great option as prices in the core have been stable and rising substantially. An experienced Realtor can help guide you to the right product and the right neighbourhood so that you can achieve higher equity gains. Ensure you know how much cash you will need and how much mortgage you can afford to carry. This will influence the types of properties to evaluate when investing. If this is your principal residence you are allowed to purchase with as little as 5 percent down. However, as an investor purchasing a secondary property you must have at least 20 percent down. Beyond your downpayment, you’ll also need to account for closing expenses. These include Land Transfer Taxes and, on pre-construction condos specifically, HST (capped at $24,000). Use this Land Transfer Tax Calculator to find out how much you’ll owe. First-time buyers are also eligible for a partial Land Transfer Tax rebate. When investing in a pre-construction condo, you’ll need to pay HST on the registration date (approximately four years after purchase) to a maximum of $24,000. With a one year lease in place though, this amount is fully refundable as you’re able to file for a full HST rebate. Paying attention to the price per square foot is a great indicator of an investment’s profit potential. Look for properties that have a low price per square foot compared to a comparable unit trading in that same neighbourhood. This will also help you determine if the best deal is pre-construction or resale. “If the average resale condo in King West is trading for $900 per square foot and the current pre-construction deal is selling for $1,100 per square foot, you’re likely going to generate higher returns investing in resale,” says Pierre. Does the builder have a good reputation? Does the location or floorplan allow you to rent for a premium? Is there future infrastructure development coming to the area? 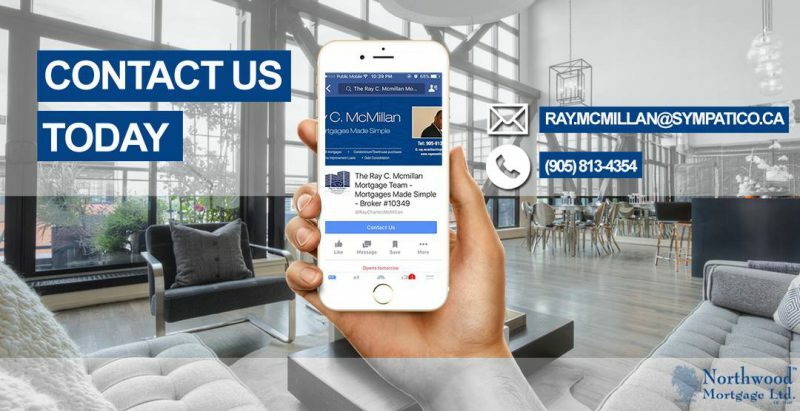 We aren’t all real estate whisperers — if you don’t know how to spot a good deal, or maybe don’t have the time, hire an experienced Realtor to help you. There are key factors to look for as you search that will help guide you to a profitable investment property. 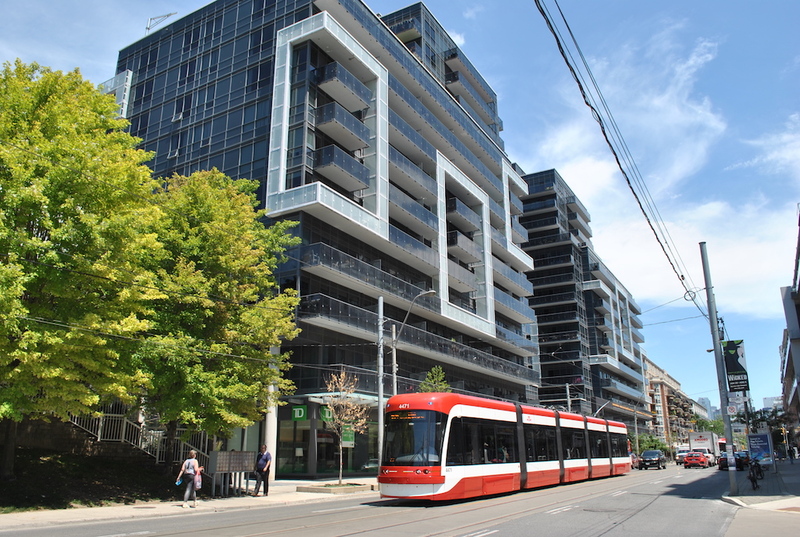 Rental prices favour condos along major transit/subway lines. You can also typically charge about the same rent for a two-bed, two-bath, 750-square-foot condo as you would a two-bed, two-bath 800-square-foot condo if they are in the same building. That 750-square-foot condo, however, will cost less to purchase, so you actually will improve your margins and lower your carrying costs. When it comes to equity gains, the biggest wins to be had are in pre-construction properties in up-and-coming neighbourhoods. If you can invest in areas when prices are low, you’ll reap the benefits in years to come as the area becomes more desirable. Leslieville is a great example of how gentrification impacts property values. Condo prices there have increased 50 percent since 2014. * Investment opportunities in up-and-coming neighbourhoods where rental inventory is low will also allow you to charge a premium in rent. PRO-TIP: Be on the look-out for investment opportunities on the Danforth along the subway line. When it comes to investing, it’s always wise to think long-term. The longer you hold your investment, the more equity you amass. As your investment’s market value goes up and your mortgage goes down, you’re able to leverage that equity into other investment condos. Learn about Pierre’s leveraging strategy and building a real estate portfolio. PRO-TIP: Borrowing to invest can dramatically improve ROI. Knowing how your investment will affect your taxes — and the amount you owe — can make all the difference when purchasing property. When you sell your investment property, you are required to pay Capital Gains Tax. This means that 50 percent of your net profit will become taxable income. You are entitled to deduct expenses incurred during the investment from these gains (like interest on a loan and cash-flow losses). As we mentioned earlier, when investing in a pre-construction condo you’ll need to pay HST to a maximum of $24,000 when the building registers with the city (typically four years after your initial purchase). Your lawyer can file for a full HST rebate, refunded approximately four to six weeks later, provided you have a one year lease in place. If you do not rent out your property for the minimum one year, you are not eligible for the HST rebate. Ensure you play by the rules when investing. This includes understanding the rules regarding short-term rentals (eg. Airbnb) in the building to flipping condos and the financial consequences that come with it. If you sell your investment too quickly you run the risk of being taxed as a trader rather than as an investor, which means you can be taxed on 100 percent of your profits as it’s seen as business income. It is best to get legal and property advice from your lawyer and/or accountant regarding tax implications as a flipper. When it comes to spotting profitable investment opportunities in Toronto, just remember: it’s not about buying something, it’s about buying the right thing. 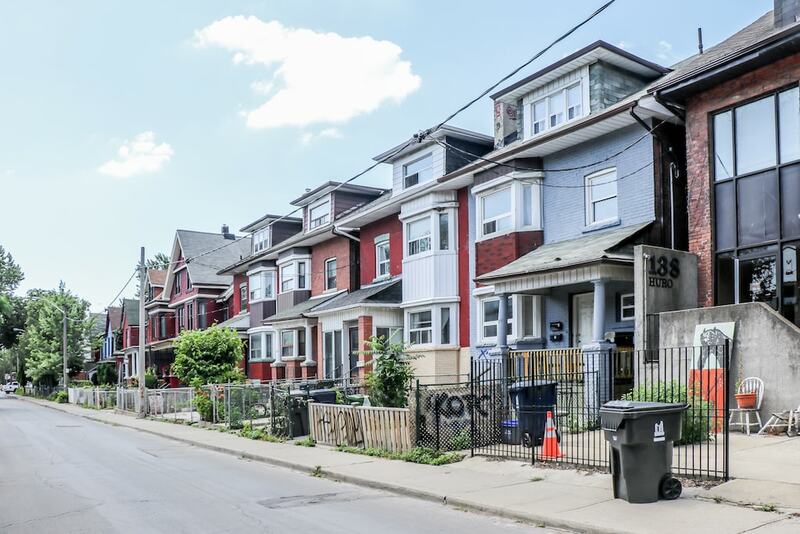 Equipped with these nine investment tips, you can rest assured you’ve invested with sound advice and guidance from one of Toronto’s top real estate brokers. You can read more on Pierre’s investment strategies here. Investing in real estate by purchasing rental properties can be a smart way to balance your portfolio, hedge against inflation and build long-term wealth. Not everyone is cut out to be a landlord, though — but even if you feel you’re not landlord material, you can get the same portfolio benefits by investing in real estate indirectly through a private loan fund or a real estate investment trust. Here are five questions to help determine if investing directly in real estate is right for you. 1. Do you have 20% down payment and 5% to cover repairs and unexpected expenses? Buying a rental property takes a much bigger down payment than buying a personal residence. Most lenders want at least 20% down, even if the property will generate enough income to pay the mortgage plus expenses like property taxes and hazard insurance. Having another 5% set aside to cover repairs and big-ticket expenses, such as replacing a roof or an HVAC system, may keep you from having to dip into personal funds to pay for unexpected problems. 2. 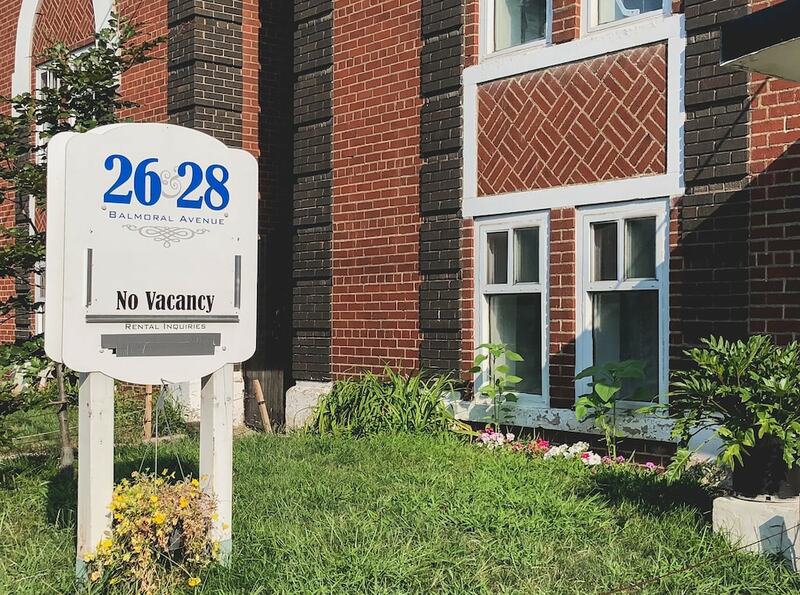 How will you handle renters who don’t pay and the possibility of evicting tenants? At some point, almost every landlord has to deal with tenants who stop paying rent. Eviction is a financial decision with emotional underpinnings. When tenants don’t pay rent, you still have to pay the mortgage, the property taxes, the water bill and all the other holding costs. But sometimes, nonpaying tenants are families with children or have unexpected circumstances like a serious illness or accident occur, leaving them unable to pay rent. If it’s too emotionally taxing to handle the eviction yourself, you can hire an attorney to represent you in court and movers to remove the tenants’ possessions from the property. Before becoming a landlord, you should know that the possibility of evicting a tenant might become a reality. 3. How do you feel about other people using your stuff? Landlords hold security deposits because damage happens. Carpets get stained, hardwood floors get scratched and there is a fair amount of general wear and tear that should be expected in and on your property. 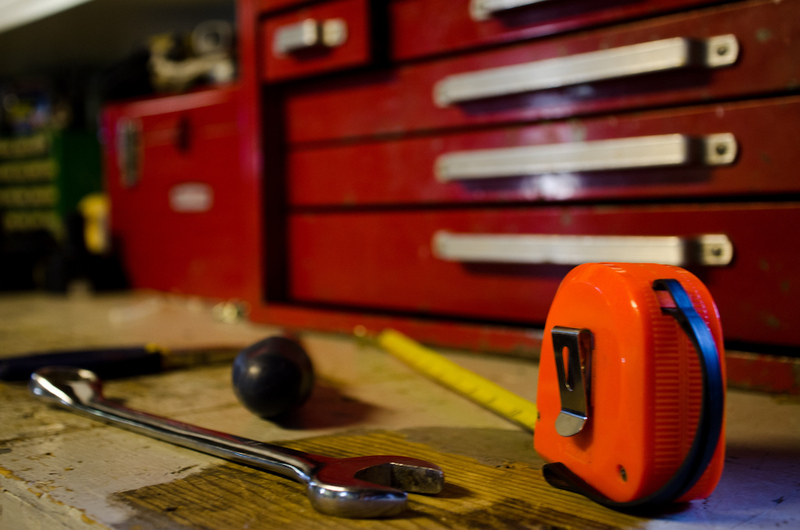 As long as the cost to repair damages doesn’t exceed the security deposit, there shouldn’t be an issue. The real question becomes, what happens when the cost of repairs required exceed the security deposit? 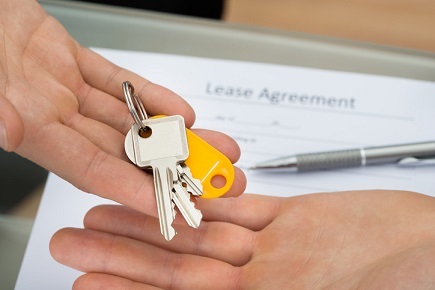 How will you confront your tenant to address these issues? 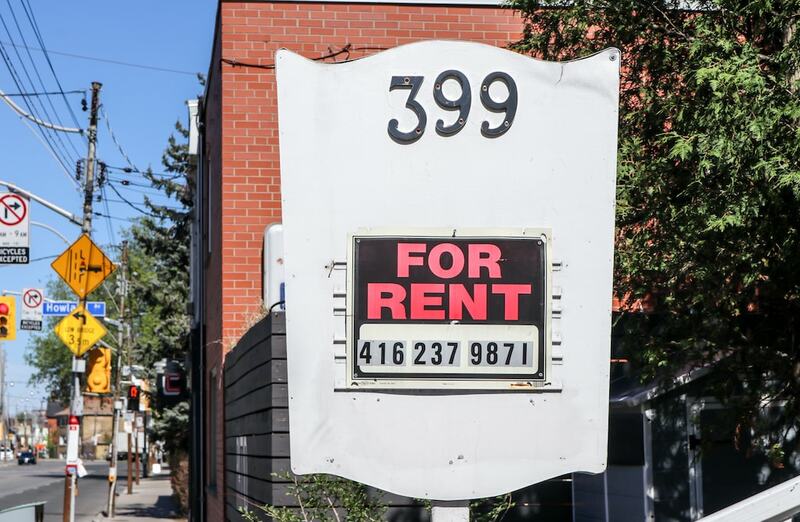 If contemplating this (somewhat common) scenario is stressful, becoming a landlord may not be an optimal option for you. 4. Can you wait at least 15 years for your investment to pay off? Real estate is a long-term investment for a couple of reasons. First, the transaction costs are high. Real estate sales commissions, state and local transfer taxes, appraisals and settlement costs all reduce your resale profit. Second, the length of your mortgage dictates the monthly payment. The longer your keep your mortgage, the lower the monthly payment. Although it may seem counterintuitive, cash flow is not the be all and end all of investing in real estate. Strauss is, of course, alluding to tenants paying down a mortgage’s principal balance for the investor while the latter rides the property’s appreciation. “On average for a single-family dwelling, the principal pay down is going to be about $6,000 a year,” he said. “The other reason is you have an income-producing asset that is hedged against inflation, and that income-producing asset appreciates, on average, 5%. Mind, appreciation is a compounding factor. Laura Martin, COO of Matrix Mortgage Global and director of Private Lending Hub, notes that the process by which equity is built can be expedited in a couple of ways. “The first process is by lessening the amortization period and increasing the payments of the mortgage in order to pay it down faster. This means there would be next to no cash flow, but there will be less money going towards interest payments on the loan,” she said. Martin adds that the extent to which an investor ameliorates the property should be determined by how far below market value they paid for it. Mortgages have some of the best terms available of any loan type, says Martin, and that flexibility can be leveraged to purchase more properties. Real estate averages 27 per cent of the investments of the ultra wealthy. With markets roiling in 2016 and commodities lingering in low-price limbo, the holdings of high-net-worth investors can serve as indicators of where the rest of us might consider parking our nest eggs. It turns out that a good chunk of wealthy peoples’ investments is in real estate. “Real estate is generally accepted as an alternative investment [by high-net-worth investors],” says Simon Jochlin, portfolio analytics associate at StennerZohny Investment Partners, part of Richardson GMP in Vancouver. 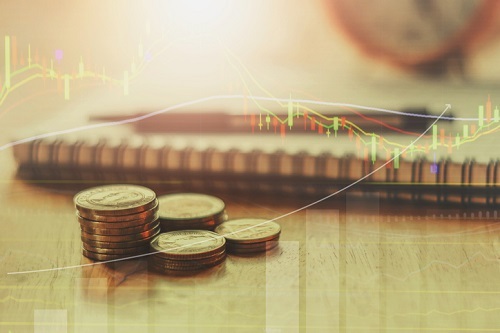 While the definition of high net worth can be flexible, in Canada and the United States it is generally considered to be someone who has at least $1-million in investable assets. Thane Stenner, StennerZohny’s director of wealth management and portfolio manager, says a good way for determining what the wealthy do with their investments is to look at reports from Tiger 21, an ultra-high-net-worth peer-to-peer network for North American investors who have a minimum of $10-million to invest and want to manage their capital carefully. Every quarter the network surveys its members, who number about 400 members across Canada and the United States. Some of the participants are billionaires, and most have a keen eye for business, Mr. Stenner says. Though the Tiger 21’s Asset Allocation Report for the fourth quarter of 2015 found that its members were becoming cautious about Canadian real estate, they still on average put 27 per cent of their investment into real estate, the largest portion of their allocations. The next largest were public equities (23 per cent) and private equity (22 per cent) with smaller percentages going to hedge funds, fixed income, commodities, foreign currencies, cash and miscellaneous investments. The real estate portion declined by 1 percentage point from the previous quarter. “While this is the lowest we have seen this year, it is at the same level observed in the fourth quarter of last year, which consequently was the high of 2014,” the report said. “Real estate is very popular and one of the reasons, in my opinion, is that investors can actually see and touch their investment,” says Darren Coleman, senior vice-president and portfolio manager at Raymond James Ltd. in Toronto. In his experience, real-estate investors, wealthy or otherwise, seem to behave with more logic than those who focus on markets. “For example, if you own a rental condo, and the one across the hall goes on sale for 30 per cent less than you think it’s worth, you wouldn’t automatically put yours on the market and sell, too, because you think there is a problem. Indeed, you may actually buy the other condo,” he says. At the same time, Mr. Jochlin says there are disadvantages to real estate that investors should beware of. Property is not particularly liquid, so if you need to sell you could be stuck for a while. “It’s also sensitive to interest rates and risks from project development,” he says. There are administrative and maintenance costs, and an investor who buys commercial rental property will be exposed to the ups and downs of the entire economy – look at Calgary’s glut of unleased office space, for example. “Timing is key. You do not want to chase the performance of a hot real estate market,” Mr. Jochlin says. As to how one goes about investing in real estate, Mr. Jochlin says it depends. 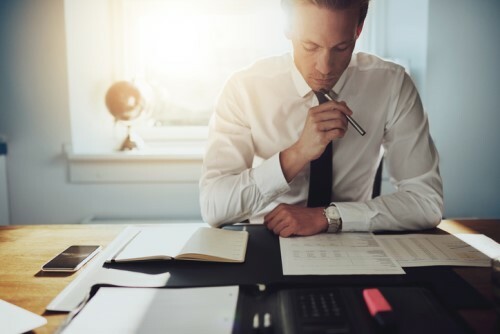 The factors to consider include determining whether your investment objective is short- or longer-term, your liquidity requirements, your targeted return and whether you have any experience as a real estate manager. “Sophisticated high-net-worth investors have a family office, and thus a specialist to manage their real estate assets,” he says. “The real estate developer is looking for substantial returns from individual/basket real estate projects, typically 30-50 per cent IRRs [internal rates of return],” Mr. Stenner says. Developers are highly experienced investors who often take big risks, looking at a raw, undeveloped property and envisioning what it could look like with, say, a shopping mall or office tower. This requires lots of access to capital and a strong stomach, as there can be huge delays and setbacks. “These HNW investors typically look for a stable, secure yield, tax-preferred in nature and structure if possible, with modest capital growth potential,” Mr. Stenner says. They take the same businesslike approach to property as the developer-types, but they’re more conservative, focusing on cash flow and long-term profit as opposed to getting money out after a development is complete. Often they’re building a legacy that they hope to pass down through generations. Mr. Stenner says lower net worth people can emulate income investors, for example, through REITs that are based on apartment buildings. These HNW investors tend to look for more short-term higher risk, higher return “asymmetric” payoffs. Income from the investment or project is secondary — they’re in it for the quick buck. Often they see real estate in contrarian terms – investments to look at when the market is low and to sell on the way up, rather than hold. After 2008, many HNW investors bought up depressed-price housing in the U.S. Sunbelt. The sizzling Vancouver and Toronto markets might be the opposite of what they’re looking for right now; commercial property in the stagnant Canadian economy that can be purchased for low-trading loonies right now might be more interesting. This refers to HNW investors who lend capital to developers or opportunistic investors, for a fixed return, plus as much asset coverage from the property as possible. They fund mortgages, invest in real estate financing pools or put money into companies involved in this type of investment. “Because wealthier investors tend to have more liquidity, this also creates more optionality to deploy capital in various ways, while using the real estate as collateral or protection,” Mr. Stenner says. Being a lender is a way to diversify. In addition, money lent in this way puts the lender high up in the creditor line if something goes wrong. If things go right, it generates income as the mortgage is paid back to the HNW investors or the funds they buy into.